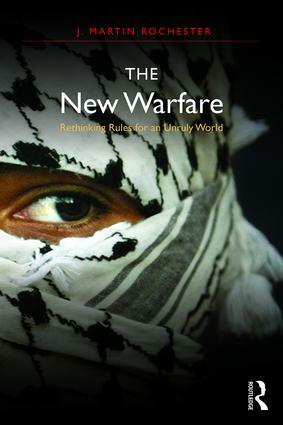 This book looks at the evolving relationship between war and international law, examining the complex practical and legal dilemmas posed by the changing nature of war in the contemporary world, whether the traditional rules governing the onset and conduct of hostilities apply anymore, and how they might be adapted to new realities. War, always messy, has become even messier today, with the blurring of interstate, intrastate, and extrastate violence. How can the United States and other countries be expected to fight honourably and observe the existing norms when they often are up against an adversary who recognizes no such obligations? Indeed, how do we even know whether an "armed conflict" is underway when modern wars tend to lack neat beginnings and endings and seem geographically indeterminate, as well? What is the legality of anticipatory self-defense, humanitarian intervention, targeted killings, drones, detention of captured prisoners without POW status, and other controversial practices? These questions are explored through a review of the United Nations Charter, Geneva Conventions, and other regimes and how they have operated in recent conflicts. Through a series of case studies, including the U.S. war on terror and the wars in Afghanistan, Iraq, Gaza, Kosovo, and Congo, the author illustrates the challenges we face today in the ongoing effort to reduce war and, when it occurs, to make it more humane. "The most important application of just war theory since 9/11. Rochester asks all the difficult questions – an essential book for our time." "Backed by a treasure trove of research, this is an important and up-to-date study of the deterioration of international rules that govern the use of force. It should be read and pondered by international lawyers, international relations theorists, and policymakers who think about how war can be restricted by law." "This important new work suggests that the 'new face of violence' challenges international legal norms as much as it does international peace and security. To his credit, J. Martin Rochester eschews daydreaming of a better world in favor of practical reforms that incentivize compliance and further the United Nations’ concern to 'save succeeding generations from the scourge of war.'" J. Martin Rochester is the Curators Distinguished Teaching Professor of Political Science at the University of Missouri-St. Louis.